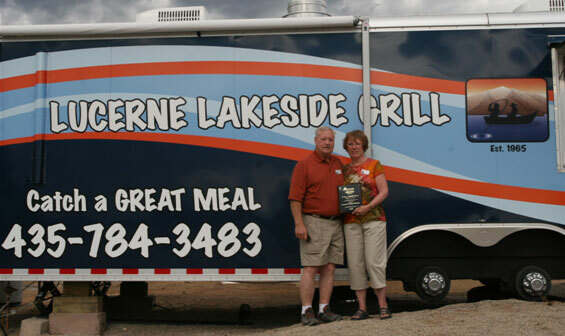 The Lakeside Grill offers an exciting menu including specialty charbroiled burgers, fish and chips, fish tacos, wraps & salads, hard ice cream, and cones, as well as beverages including fountain drinks, coffee, and fresh brewed tea. 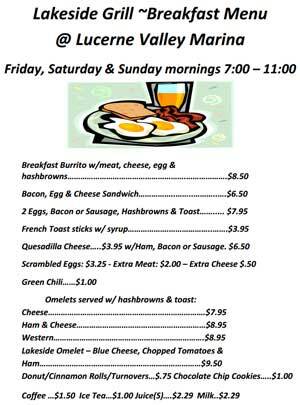 We also serve breakfast on the weekends. 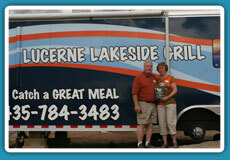 You will be able to enjoy our delicious food while relaxing at our outdoor picnic table overlooking the marina. 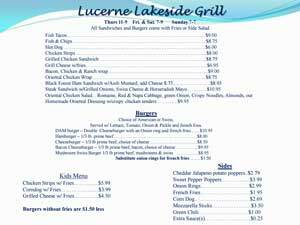 Come check out our menu.